Experienced and talented Indian chef skilled in the preparation and serving of Asian foods. Adhering to standards in cooking capable of giving every meal an exciting and unique spin that always impresses. Comfortable adjusting food to taste diet etc. There are plenty of opportunities to land a Indian Chef job position, but it won’t just be handed to you. 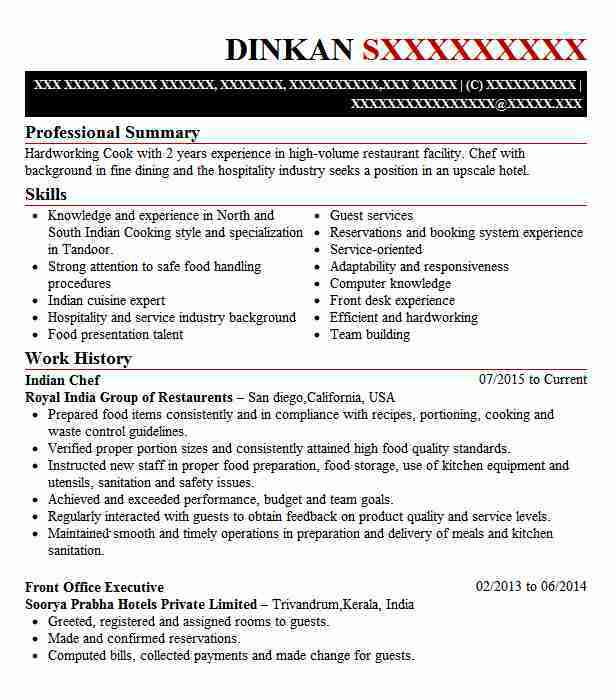 Crafting a Indian Chef resume that catches the attention of hiring managers is paramount to getting the job, and LiveCareer is here to help you stand out from the competition.